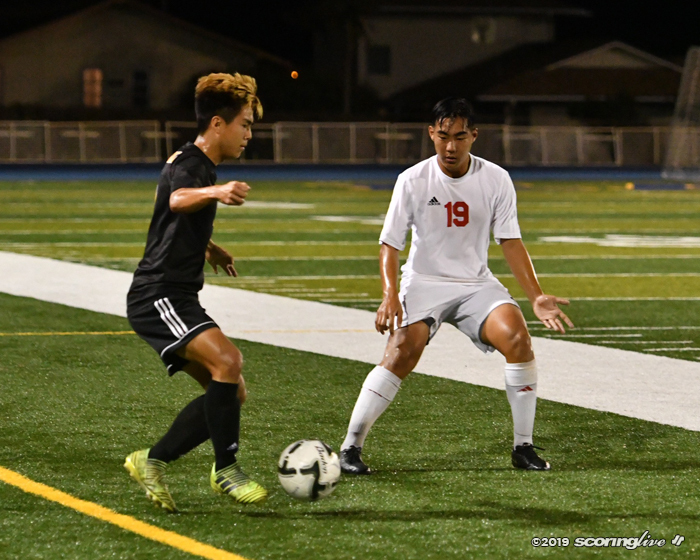 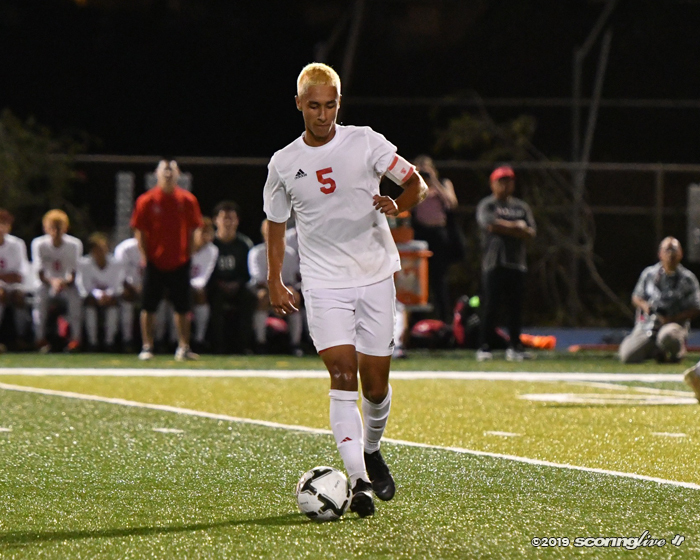 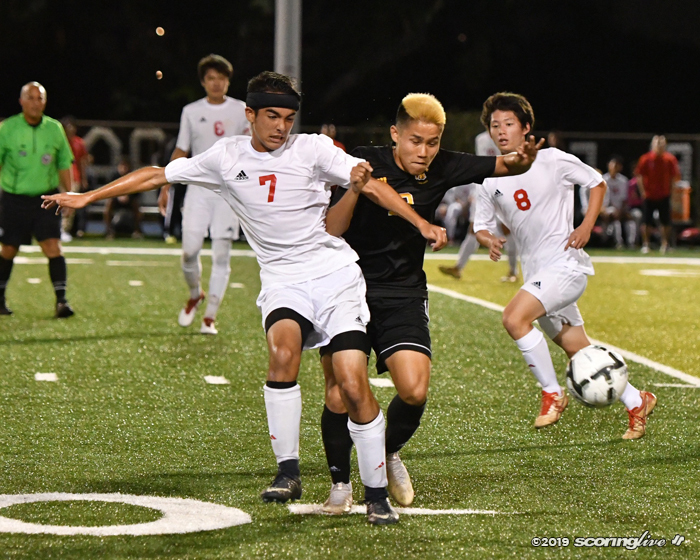 It's going to be a Western Division showdown for the OIA Division I boys soccer crown Saturday night. 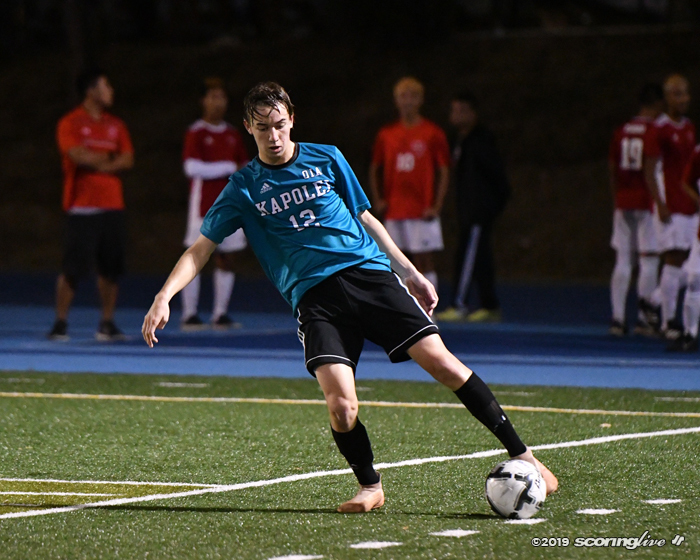 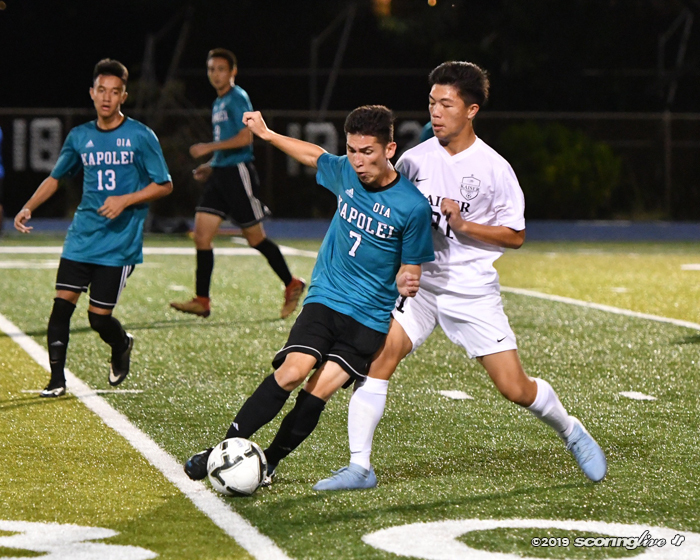 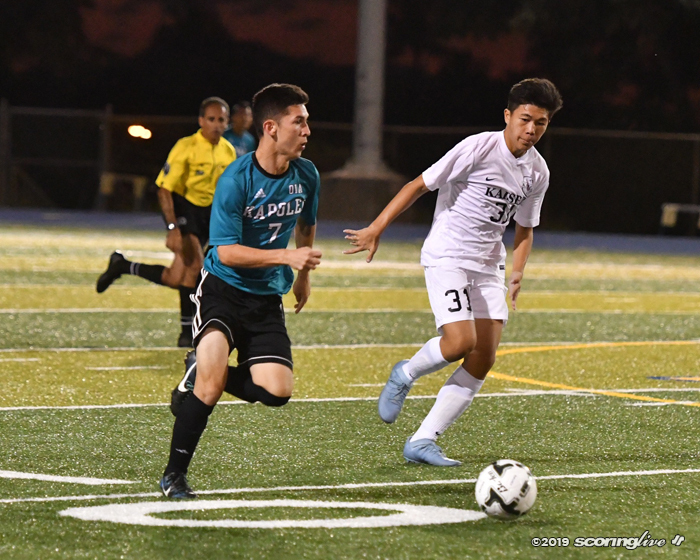 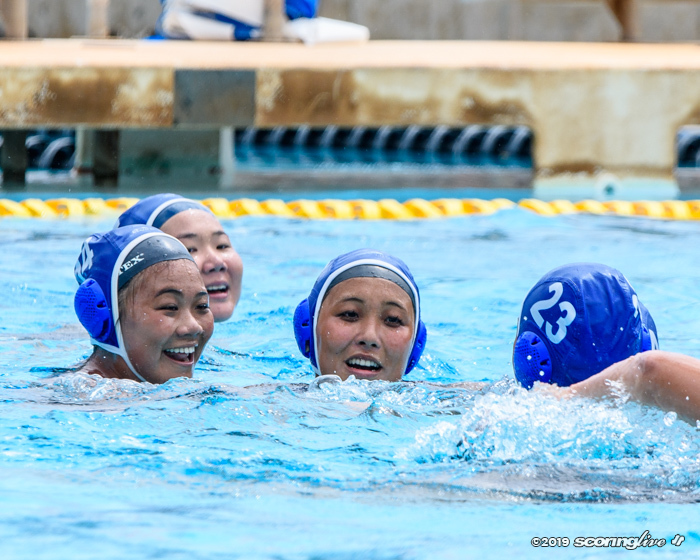 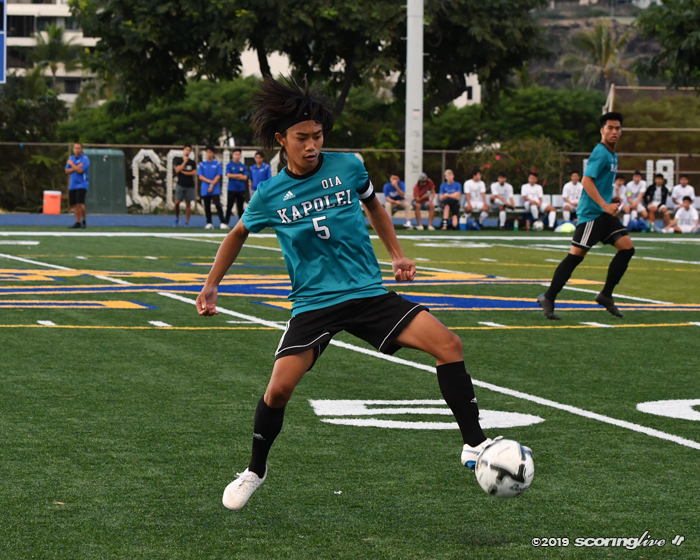 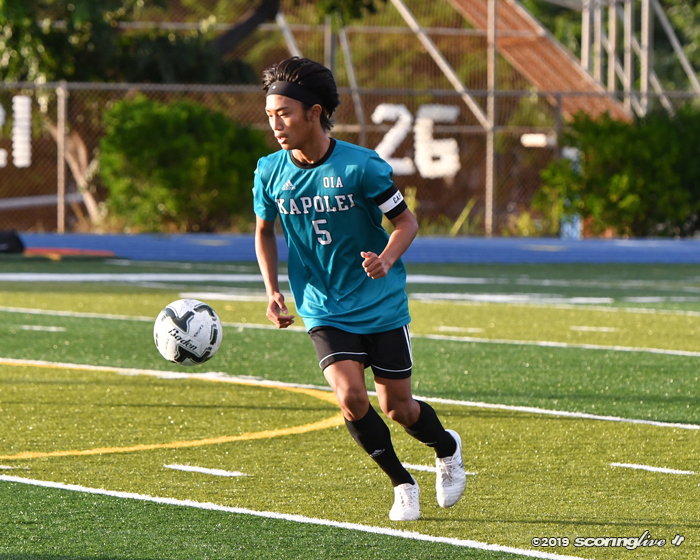 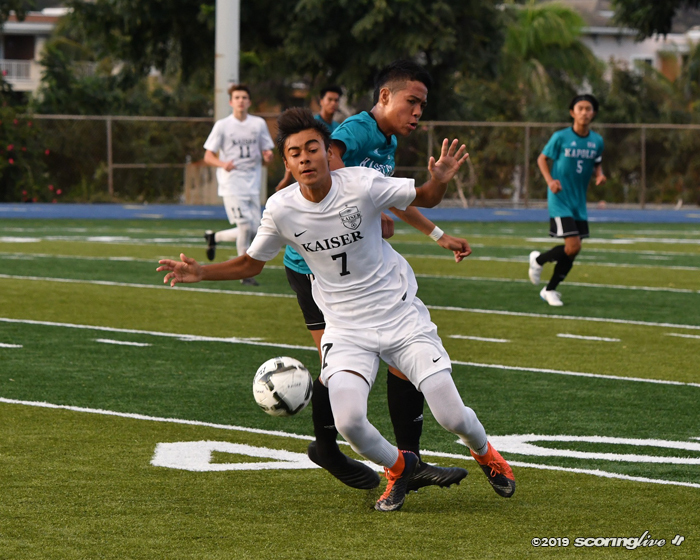 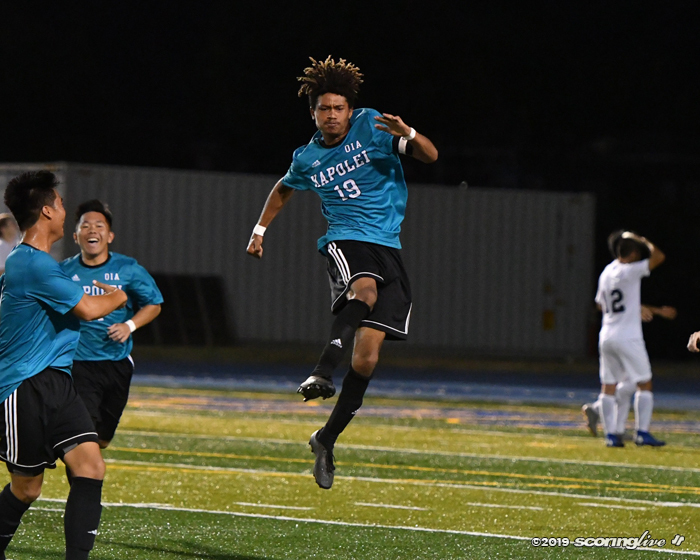 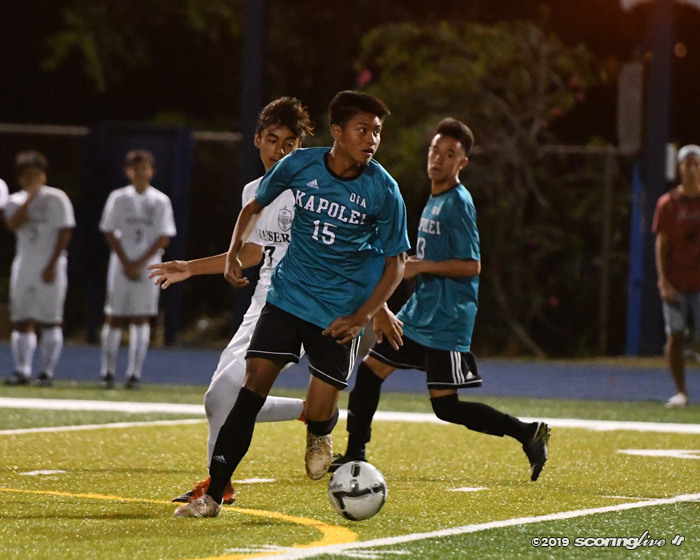 Kapolei dominated Kaiser in a 5-1 semifinal win and Mililani outlasted defending champ Kalani in a 3-2 thriller on Thursday night at Kaiser's stadium to advance to the championship match. 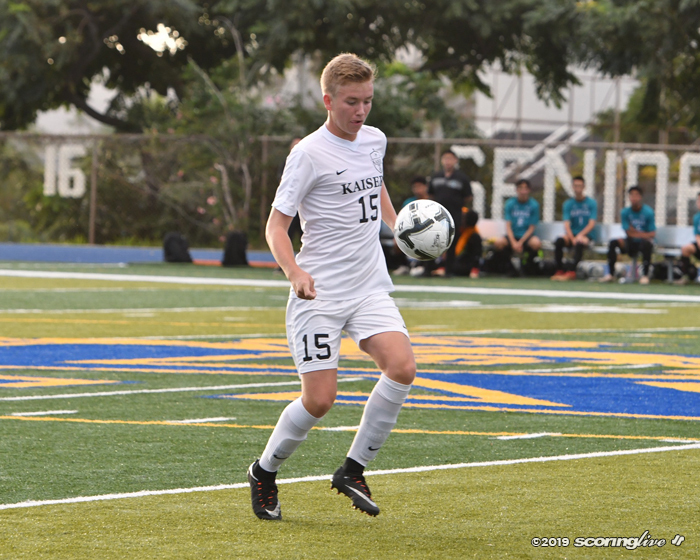 Hunter Hoogenwerf scored the first goal for the Hurricanes (11-1) in the 36th minute. 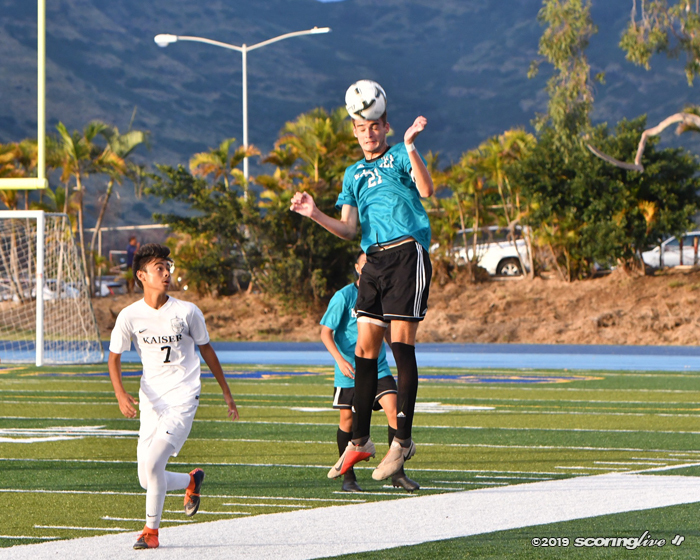 Minutes later Joe Wren hit a powerful header into goal off of a corner kick by Kawika Kelii for a 2-0 lead at the break. 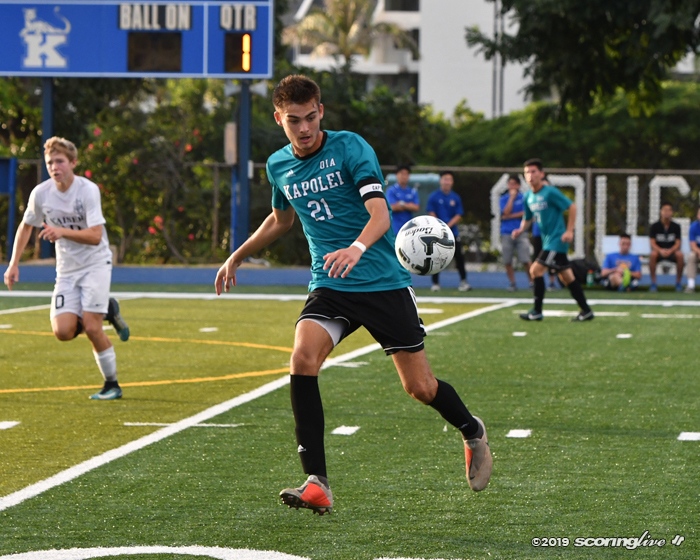 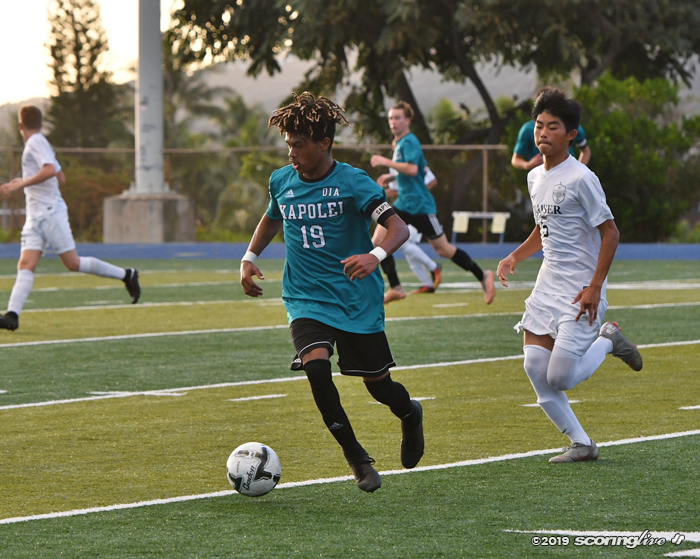 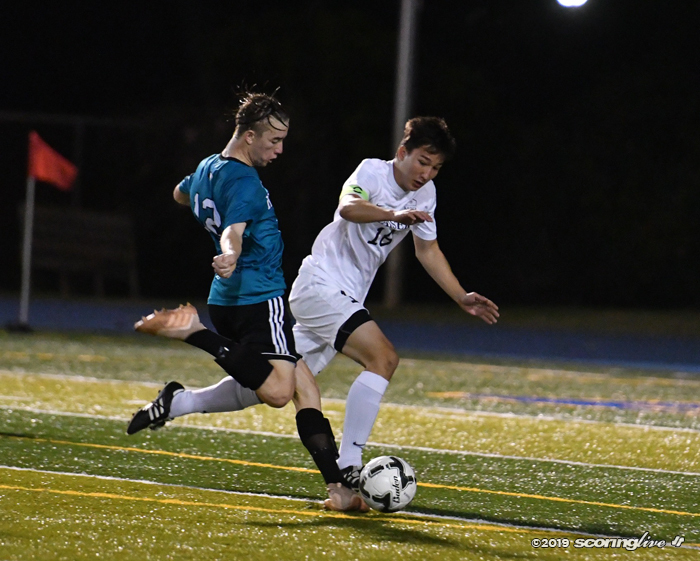 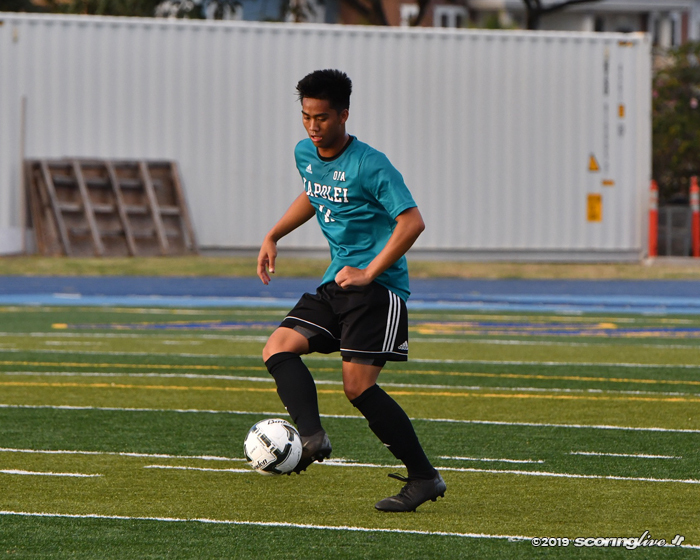 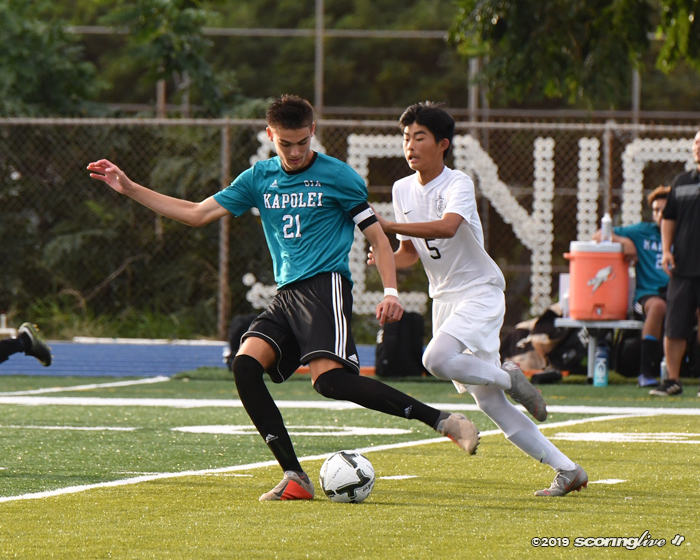 Tommy Mascaro-Keahi tripled Kapolei's lead two minutes into the second half and later assisted on a goal by Kelii to give the Hurricanes a 4-0 lead in the 55th minute. 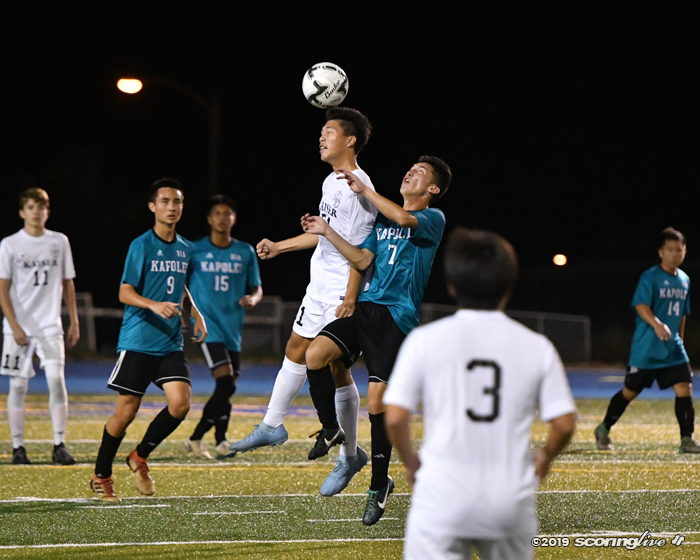 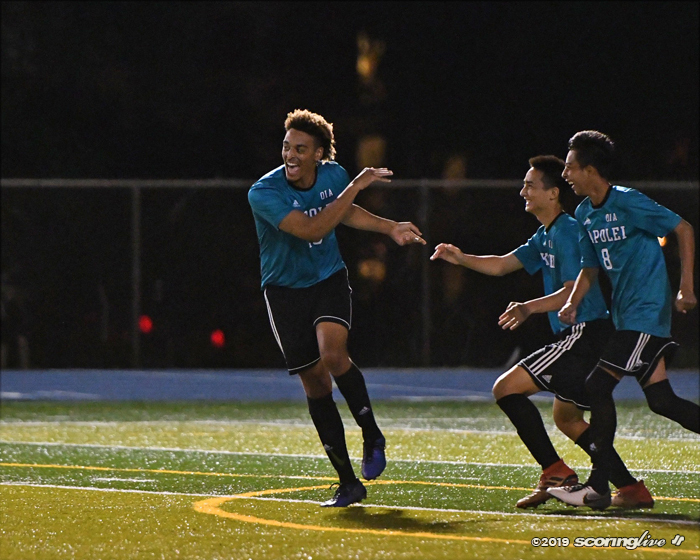 Kapolei added its final goal in the 70th minute on a score by Shamar Robertson. 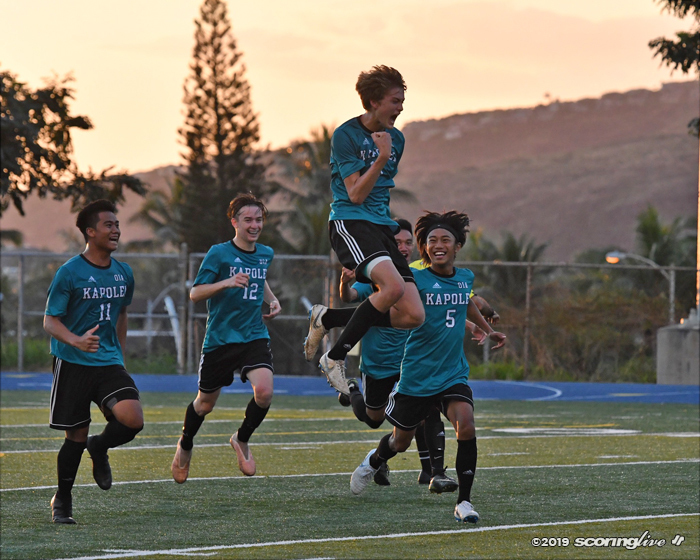 Kaiser (10-2) avoided the shutout one minute later on a high arching shot by Nathan Magee. 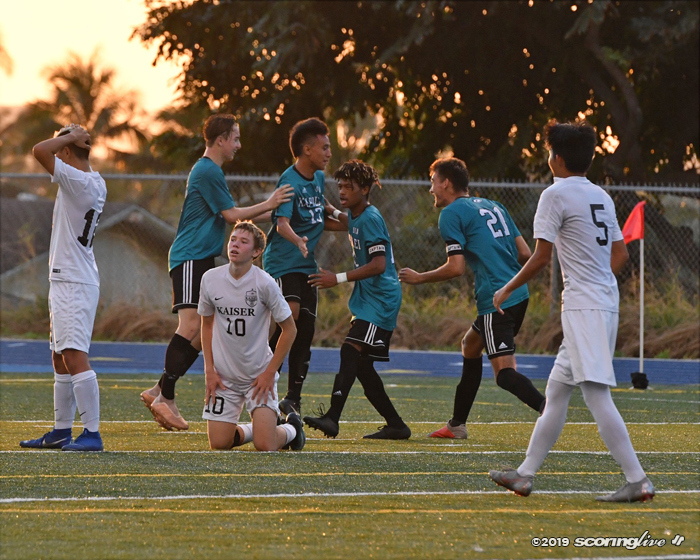 The Trojans (12-0), who lost to Kalani (10-2) in last year's semifinals, got off to a good start on a goal by Jvon Cunningham in the fourth minute. 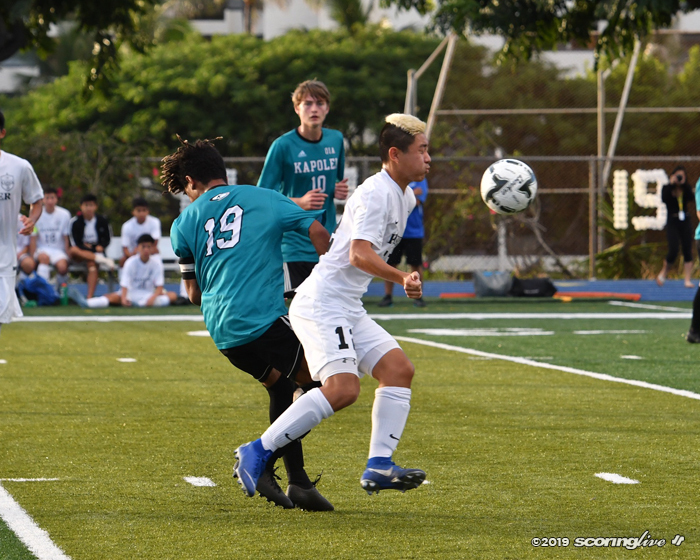 The score would stand until the 56th minute when Kalani's Kane Enomoto found the back of the net from six yards out. 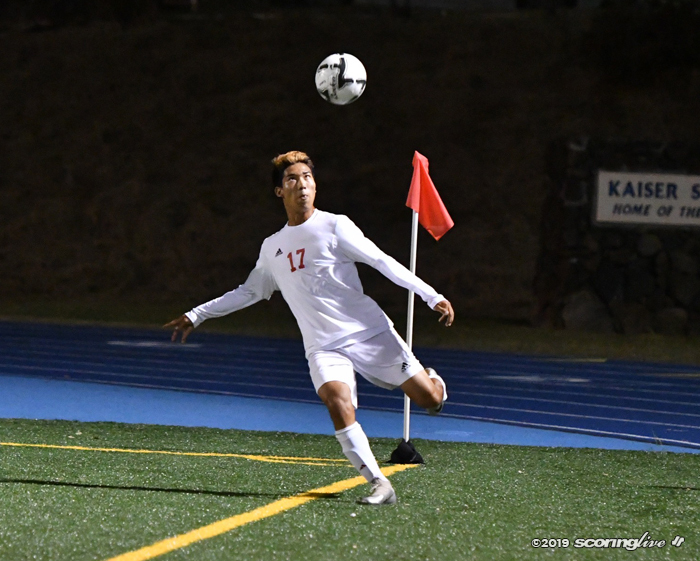 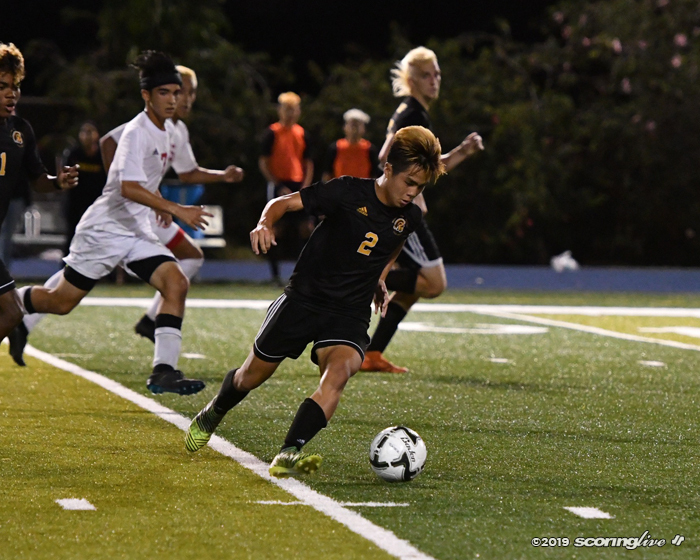 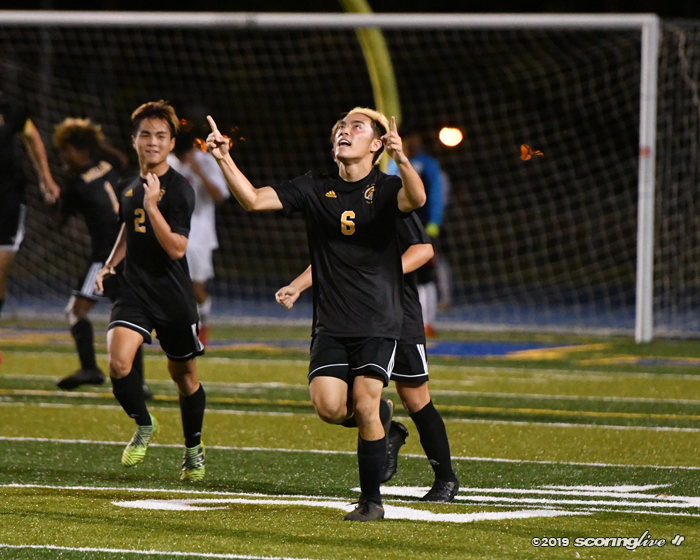 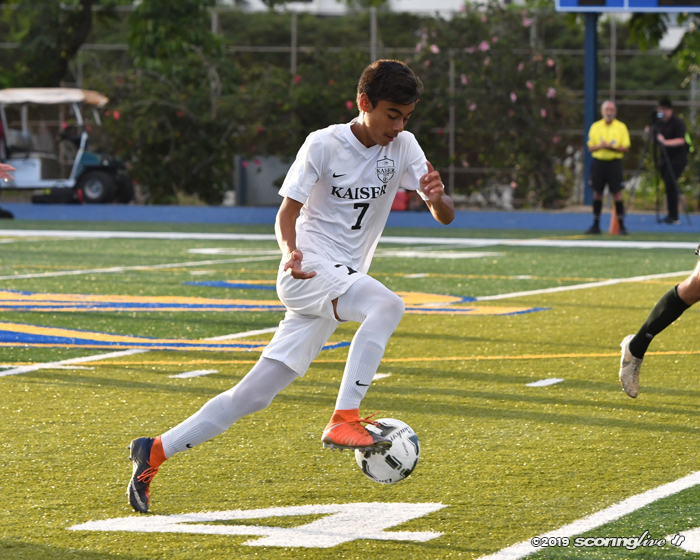 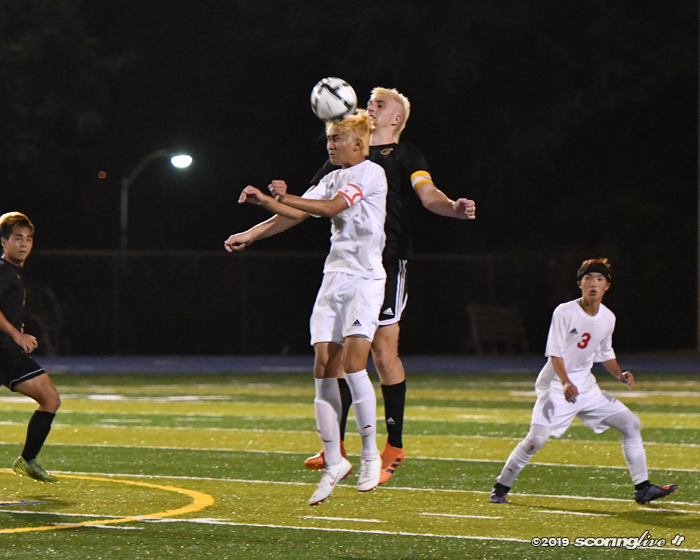 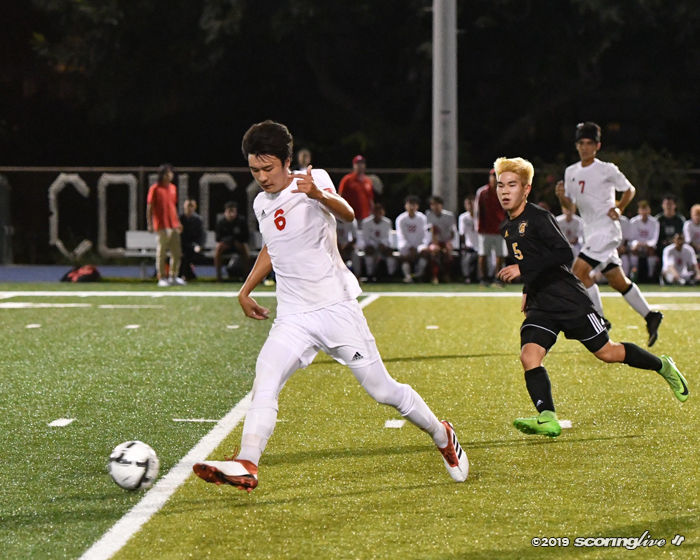 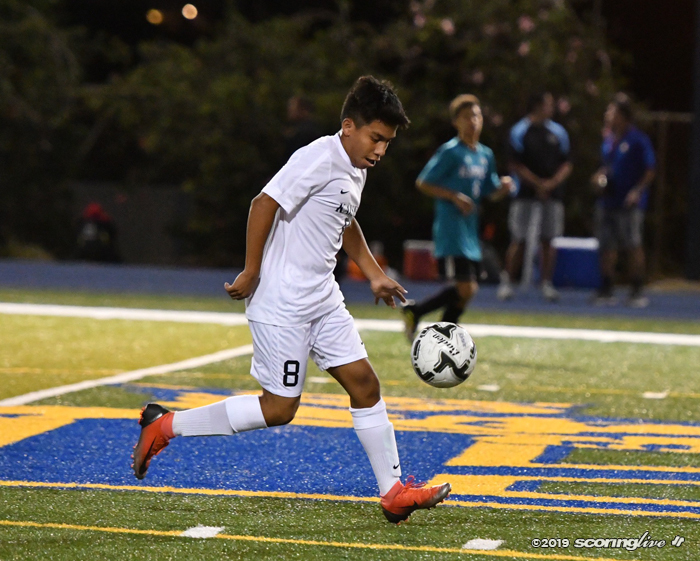 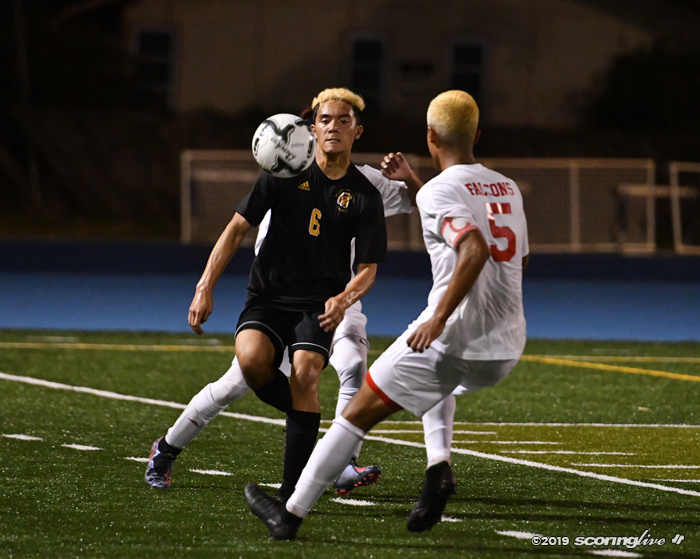 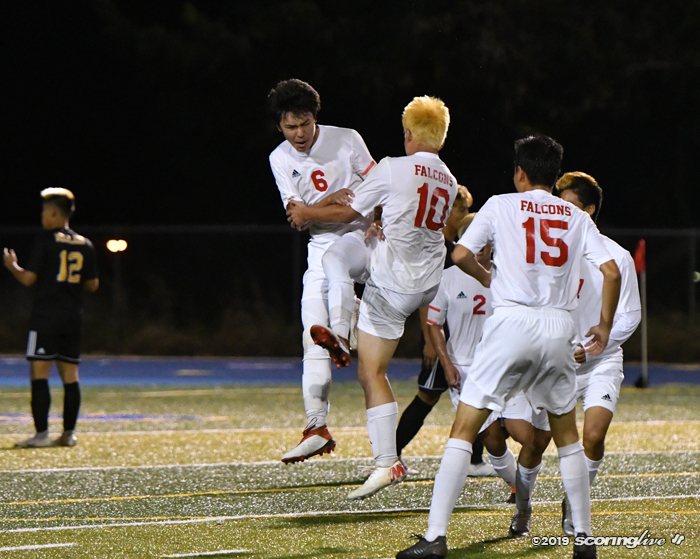 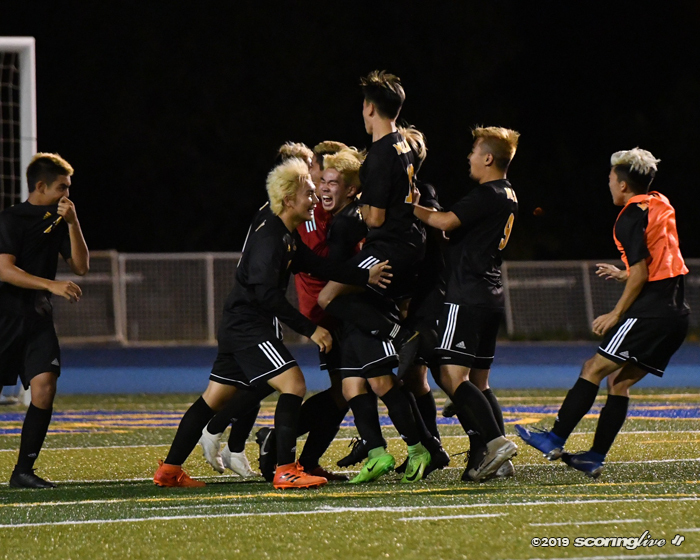 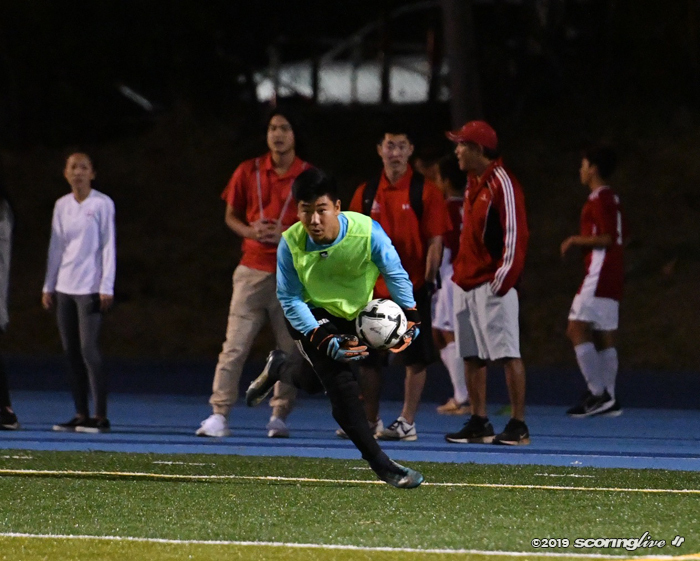 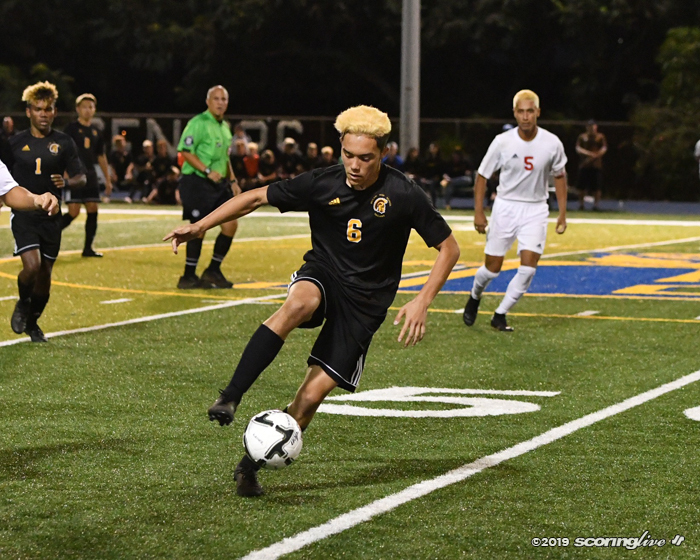 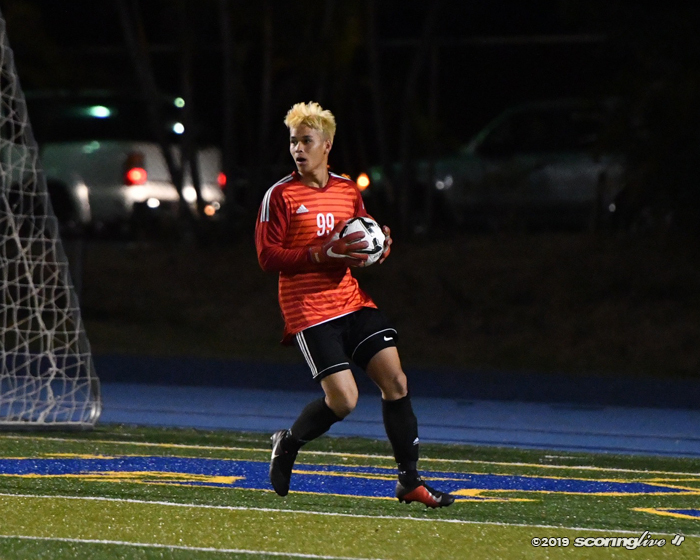 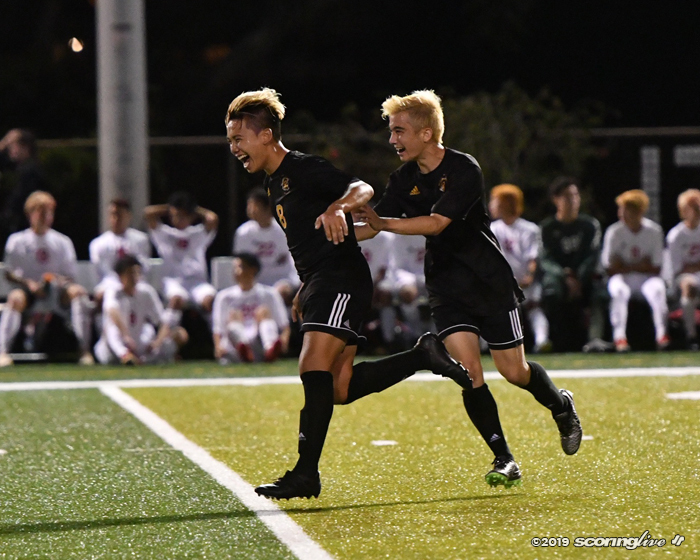 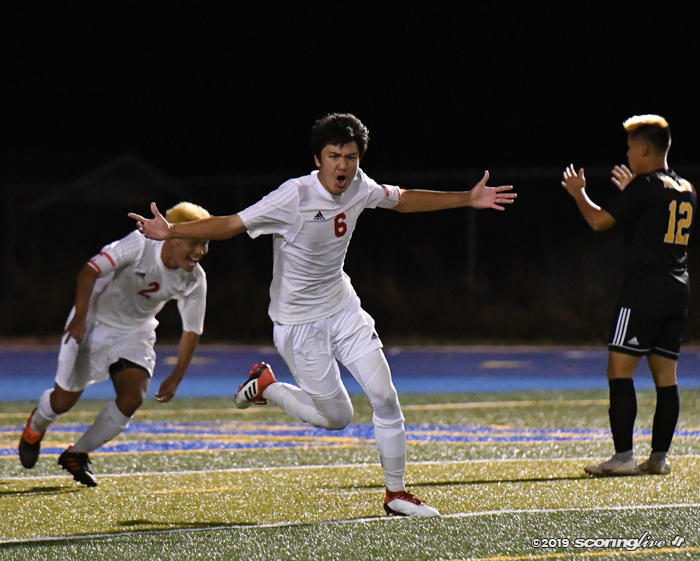 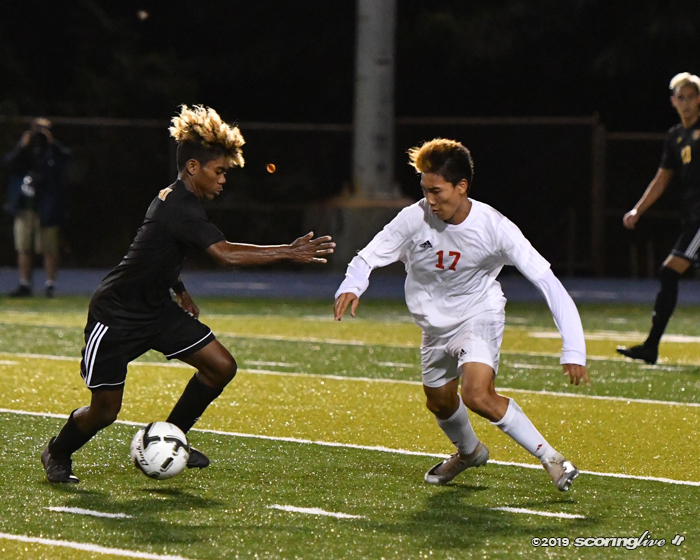 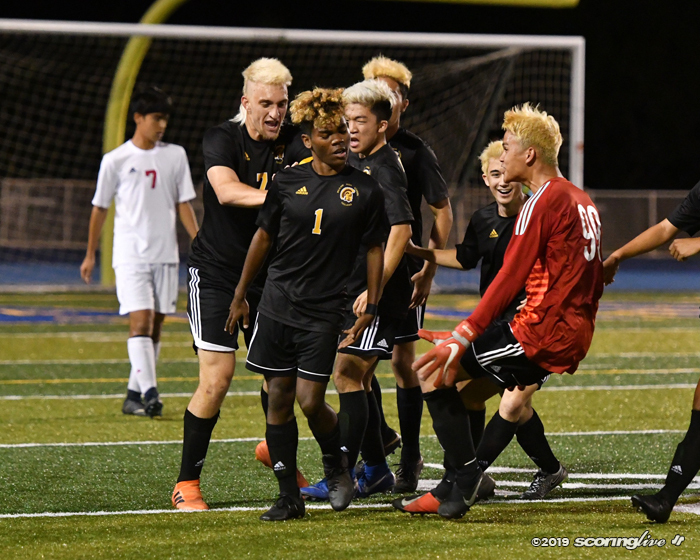 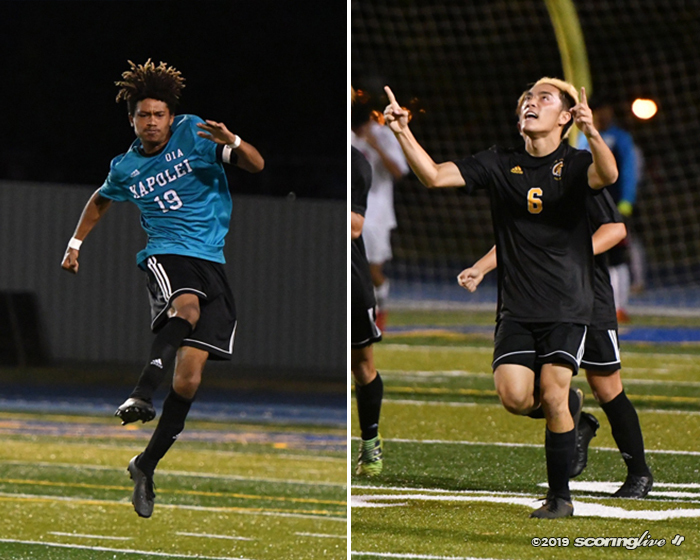 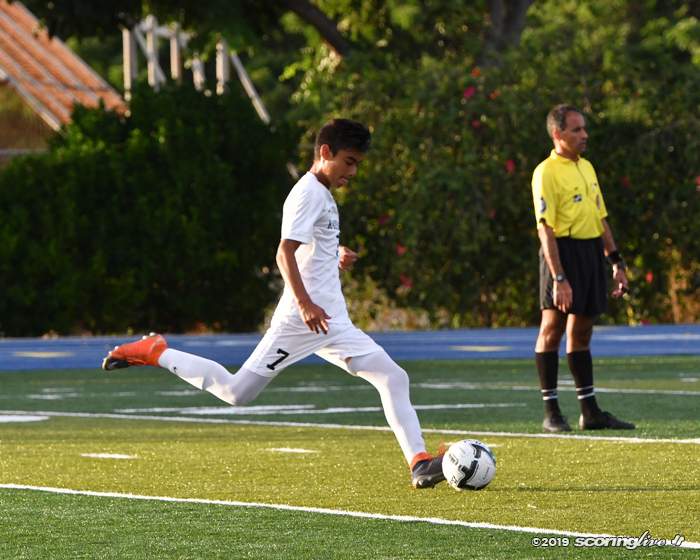 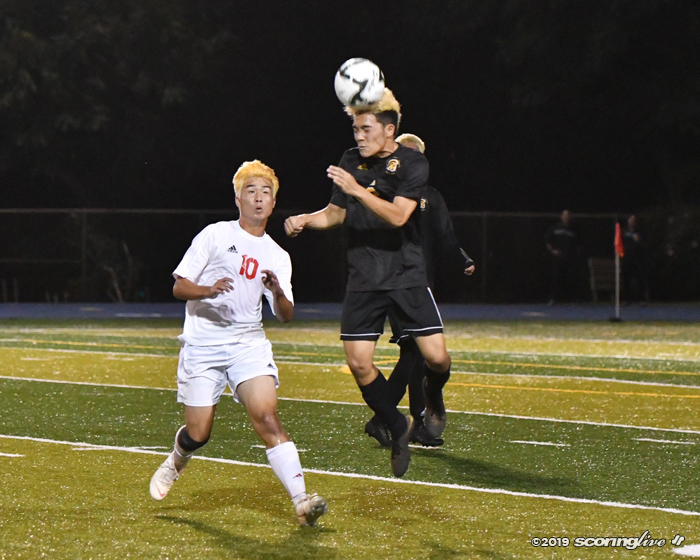 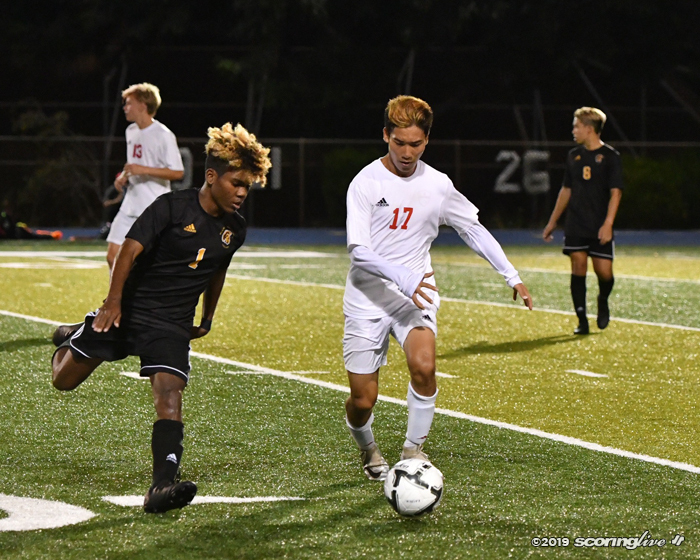 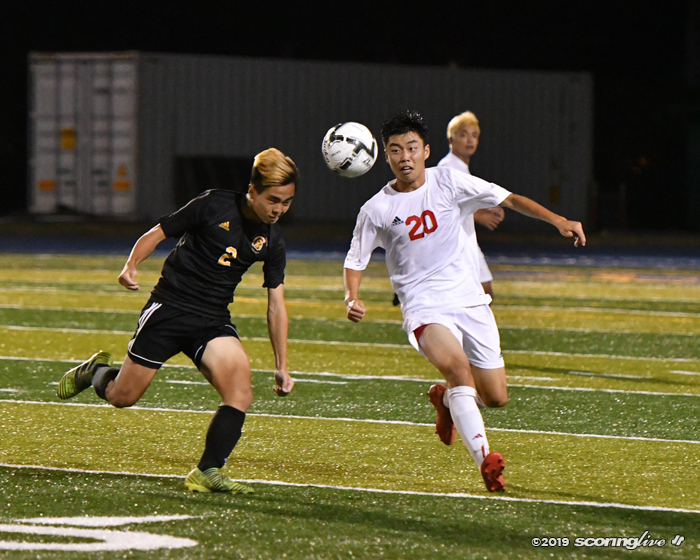 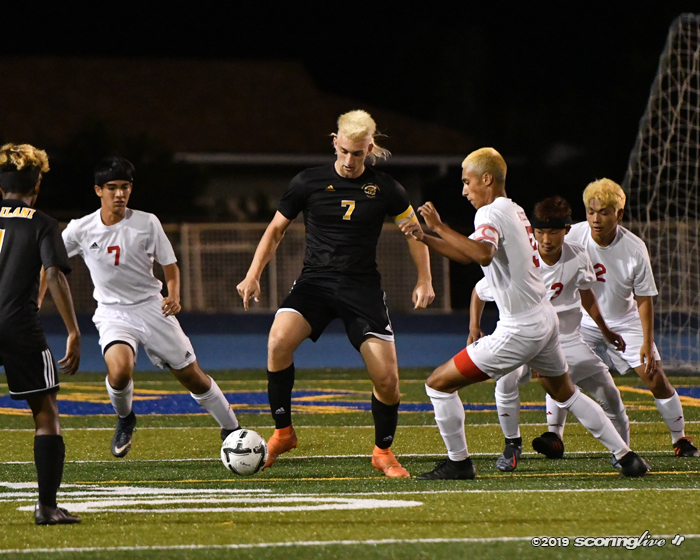 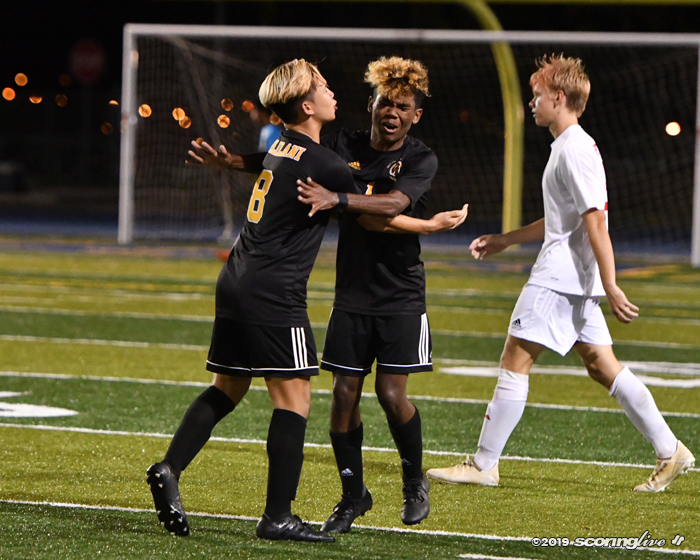 Mililani regained the lead in the 74th minute on a 42-yard free kick by Liam McGehee that bounced into the top left corner of the Falcons' goal, but Kalani got the equalizer by Brison Kim in stoppage time to make it 2-2. 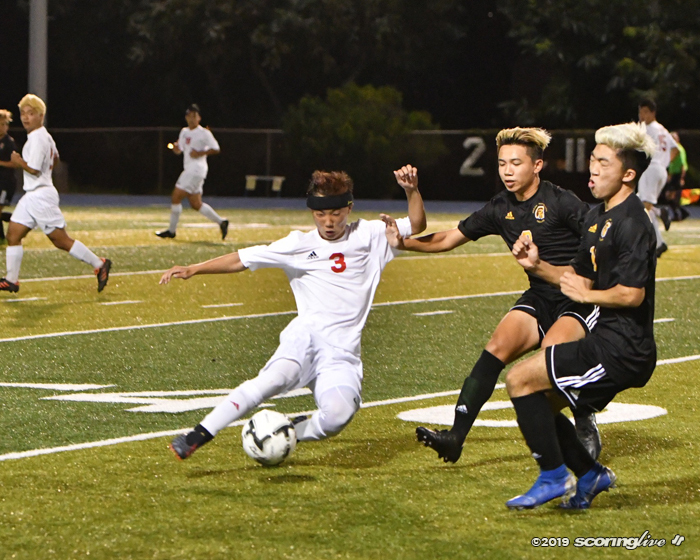 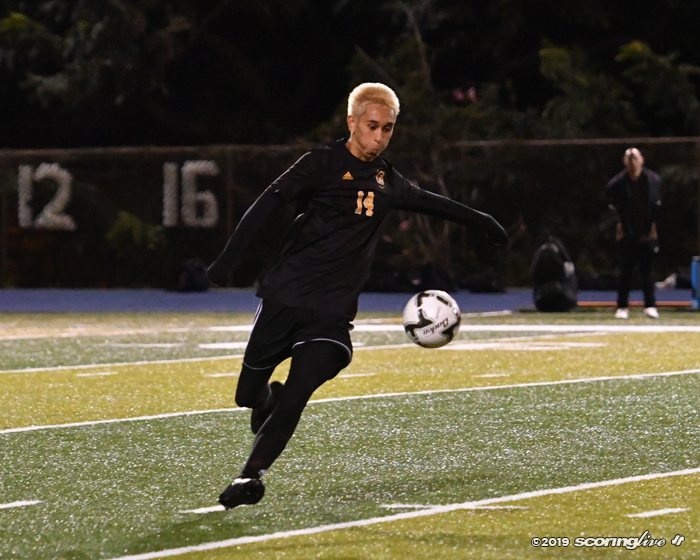 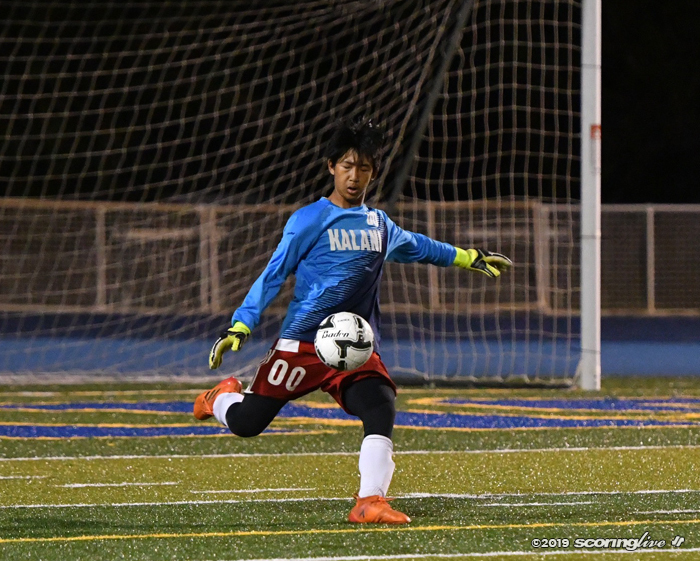 However, instead of going into overtime, Mililani's Noah Ungos knocked in a header that went through the legs of the Kalani keeper for the game-winning goal. 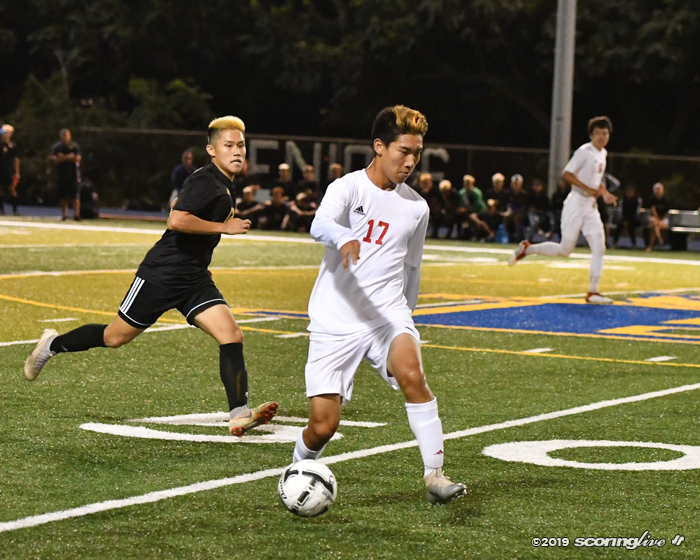 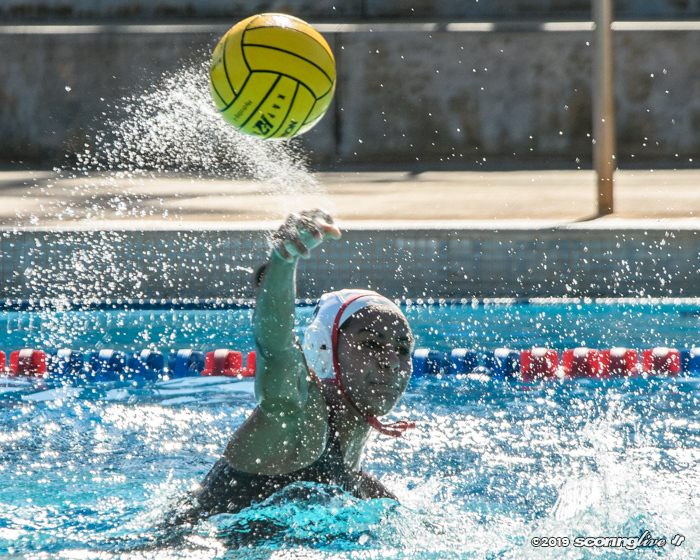 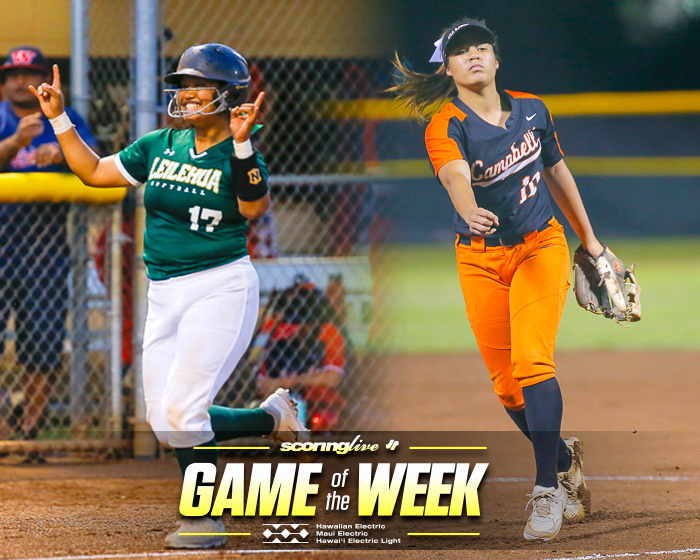 First kick between the Hurricanes and Trojans will follow the OIA Division II championship match between Kalaheo and Waialua, which starts at 5:00 p.m at Kaiser Stadium. 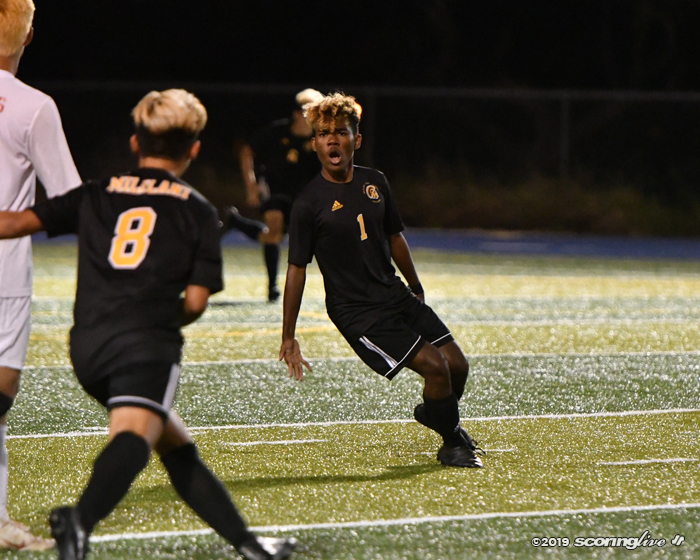 Mililani won the regular season matchup against Kapolei, 1-0. 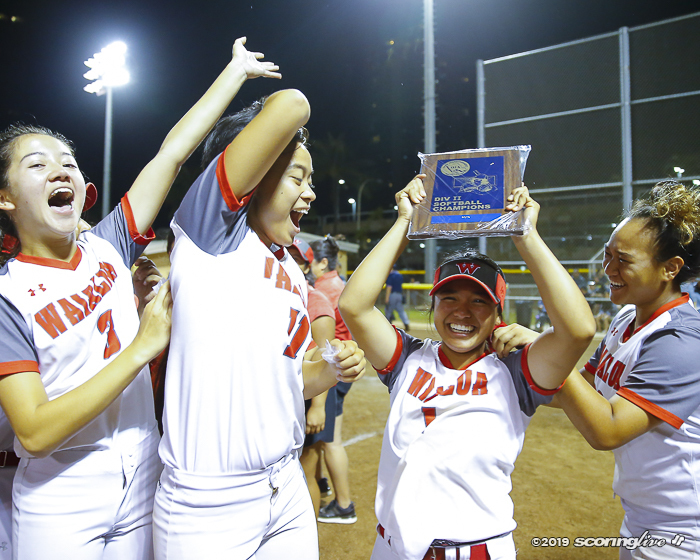 Kaiser ended Kahuku's nine-year reign to win its first OIA championship. 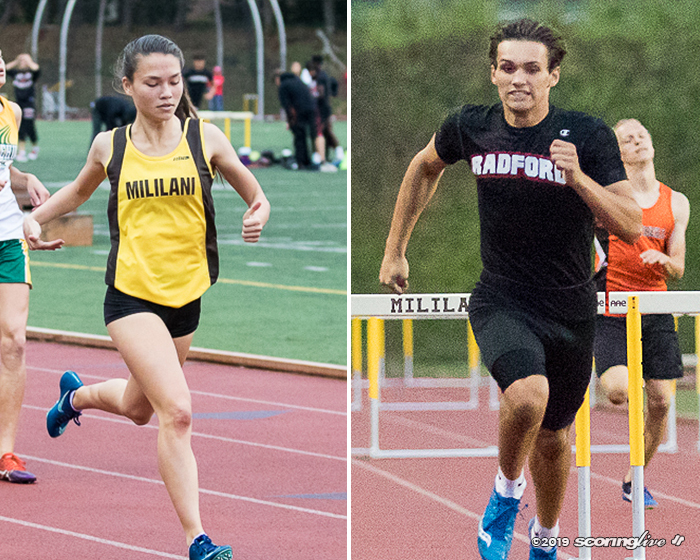 Trojans won their first girls title since 2008 while Rams won their 20th boys title. 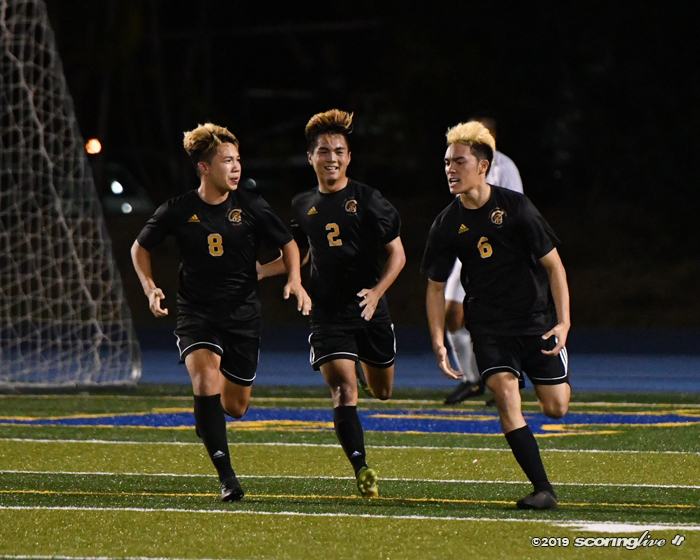 Sabers down Mules for second consecutive OIA title and seeded state tournament berth. 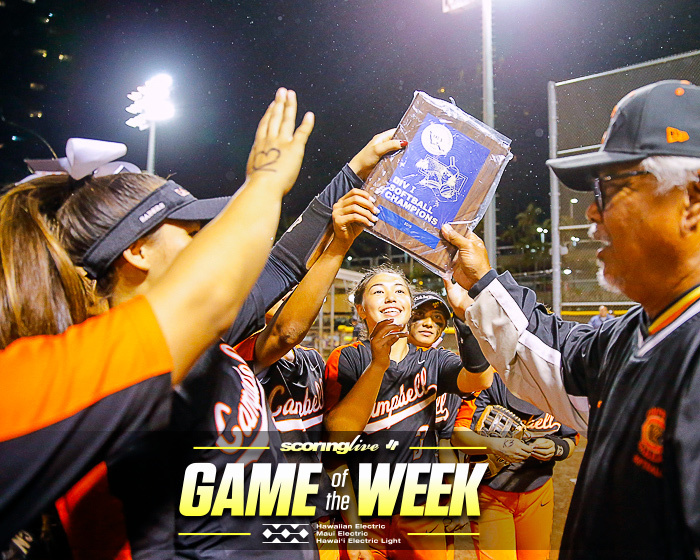 A seven-run sixth inning helped the Bulldogs end their 10-year title drought.